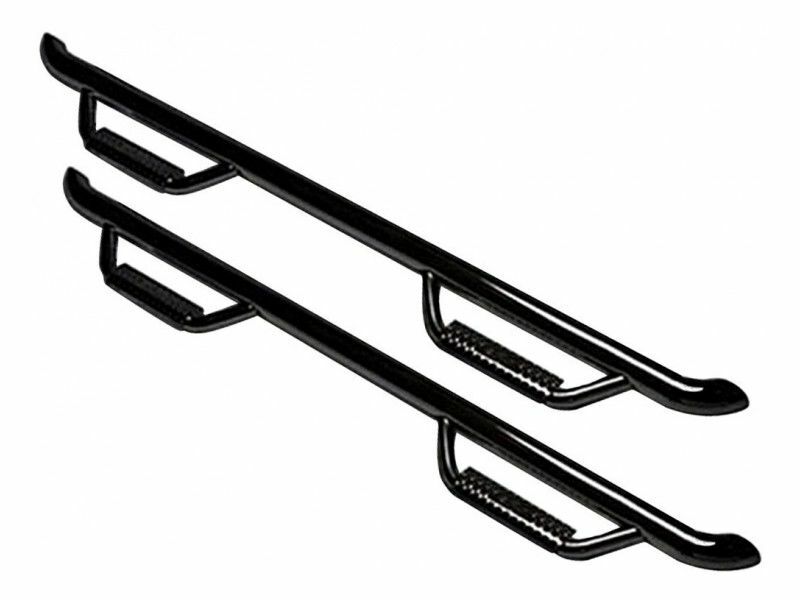 These bars are available in two different finishes for most applications. Check out the Gloss Black Finish. This finish will give your bars a nice clean, glossy look. Another finish option (select at checkout) is the Textured Black Finish. This will give you that smooth, matte look. These steps are built of a heavy gauge 3-inch rail that sits up close to protect your trucks body. It's the perfect fit with superior strength and protection. The N-Fab Cab Length Nerf Bars have a patented hoop step design which offers a lower stepping surface than most nerf bars in the industry.